Plain circuit boards are a type of printed circuit boards which are plain and uniform in shape. They are mainly used in the design without any requirement for shape. 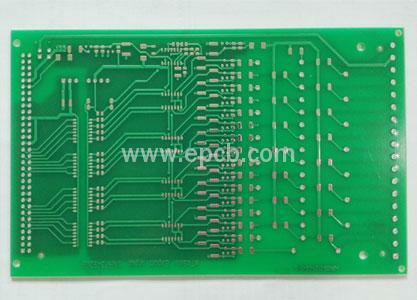 Like PCB board, plain circuit board is also a module that are interconnected with electronic components. These components may be simple such as resistors, capacitors or inductors, and may be complex such as radar and computer systems. The circuit is mainly formed by a thin layer of conductive material, and the individual parts are placed with the soldering iron. Plain circuit board can be designed for a single function or multi-function. Like ordinary PCBs, plain circuit boards are first designed on DipTrace or EagleCad software. The next step is to print the design onto a paper which has a smooth surface. When PCB design is printed, it is then attached to the board by means of hot iron to adhere the design to the board. The process of design adhesion usually takes 5 to 10 minutes. The next step is to remove the extra copper from the board, only leaving traces which can interconnect components. And then install components on the circuit board. The components are mounted by soldering wire and soldering iron. After installing, you must check the circuit connection to avoid any short circuit points. The cost of an plain circuit board is the same as that of an ordinary PCB. This is because the process from software design to component soldering is the same.